It’s that time of year again. Pumpkin spice lattes and apple cider donuts are on the top of everyone’s mind and Halloween is right around the corner. While the kids in your town are getting excited about picking out costumes and planning trick or treating routes, your restaurant needs to make the most out of this Halloween. From jack-o’-lanterns to skeletons, Halloween is the perfect time to add some festive decorations to your restaurant. Not only will the provide a fun mood to your restaurant but it will inspire Halloween lovers young and old to stop by for a bite. While people of all ages can enjoy Halloween, it really is a holiday focused on kids. 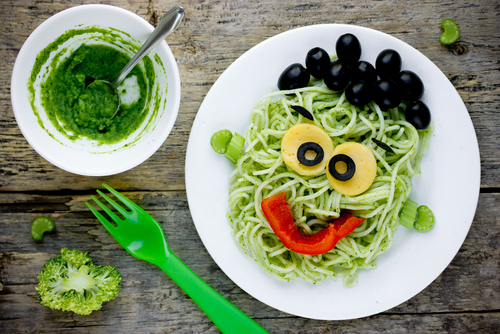 Make your restaurant a child-friendly place by offering a kids menu with a few Halloween inspired twists. You can offer mac and cheese with bat-shaped pasta or rename your hot dog entree ‘Witch’s Fingers’ to add a fun and spooky element. Take a note from Chipotle’s Boorito promotion and offer deals or discounts to customers who come in costume. Not only will this increase foot traffic on Halloween, but also will provide some really fun material for your social media accounts. A picture of a restaurant full of happy, costume-clad diners is gold for your Instagram. With these three tips, your restaurant is sure to see an uptick in diners this Halloween. For more tips and tricks to make your restaurant the best it can be, sign up for our newsletter. Lost your password? Please enter your email address. You will receive mail with new password.